Currently, the global shrimp yield is above 5.5 million tons/year, including 20% of black tiger prawn (1.1 million tons). Vietnam ranks third in the world in shrimp production, and first in black tiger prawn production. The export value of Vietnamese shrimp is $3-4 billion/year. In term of farming area, the country has about 694 thousand hectares of shrimp, including 600 thousand hectares of black tiger prawn and 94 thousand hectares of whiteleg shrimp. The production is about 0.65 million tons/year. Of which, there are 0.3 million tons of black tiger prawn each year. Currently, there are over 2,400 hatcheries producing brackish water shrimp, along with over 350 professional and non-professional shrimp processing facilities with a capacity of over 1.4 million tons/year. This figure exceeds the demand for processed raw material of the country. Domestically produced feed is also sufficient to meet the basic needs of farmers. Below, Viet Linh will gather some opinions on this issue and technical solutions to achieve the goal of $10 billion in shrimp export. 1. What shrimp species should be focused on? Black tiger prawn should be the major shrimp farmed because its price is always higher than whiteleg shrimp. At the same time, the yield of black tiger prawn in large producers such as Indonesia, India, and South America countries fell sharply, making its supply reduce globally. Farming in an average productivity of 1.5 tons/ha, with the current area, Vietnam has had 1 million tons of shrimp. With the average price currently of Minh Phu Seafood Corporation, $10/ton, Vietnam will definitely reach the goal of $10 billion. 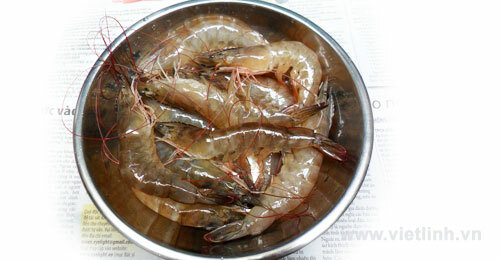 If black tiger prawn production is developed instead of whiteleg shrimp, the average export price can reach $16-17/kg. Vietnam can then earn about $13 billion/year. Minh Phu Seafood Corporation, in particular, can bring $2 billion/year itself. Thus, the dream of earning $10 billion from shrimp export is not so far according to Le Van Quang, Chairman and CEO of Minh Phu Corporation. Shrimp farming needs to adapt to climate change and sea level rise. Expanding farming in coastal regions and mangroves affected by salinity intrusion in the Mekong Delta could increase brackish water shrimp farming into 2 million hectares. Investing in synchronized infrastructure, high-tech applications, and scientific and technical advances in all stages of shrimp production are some solutions. "Even negative impacts of climate change such as sea level rise and saltwater intrusion are also opportunities for the development of shrimp farming. Government should have a developmental plan for farming in areas affected by salinity and sea level rise because breeding shrimp brings higher income than growing rice," said Nguyen Hoang Anh, General Director of South Central Seafood Investment Co., Ltd. and President of Binh Thuan Province Shrimp Association. Increased salinity intrusion in the Mekong Delta is also a good opportunity to expand brackish water shrimp regions. It can possibly reach 1-2 million hectares to produce 1-2 million tons of commercial shrimp according to the Minister of Agriculture and Rural Development Nguyen Xuan Cuong on October 6, 2016. However, the planning should target appropriate zone for shrimp development instead of creating fragmented farming areas. Bac Lieu, Soc Trang and other localities having sufficient conditions can develop directions towards high-tech, environmental friendly farming, and create industrial shrimp centers. In Ca Mau, Kien Giang and localities having advantages in ecological conditions can expand sustainable ecological shrimp farming with models such as shrimp – forest and shrimp – rice. Currently, extensive shrimp farming, combined with rice paddy in large area in 560,000 hectares, has low productivity (200-350 kg/ha). Farming in industrial style also produces small-sized shrimp with low productivity (about 4 tons/ha). Therefore, it is a must to invest in infrastructure, scientific and technical applications to enhance productivity by 1.5 to 2 times compared to the current figure for industrial farming, and 3 to 5 times for extensive farming. A large and difficult issue of Vietnam's shrimp industry is the source of breed according to Nguyen Huy Dien, former Deputy General Director of the Directorate of Fisheries. Vietnam has not been active in supplying shrimp breed. Each year, approximately 90% whiteleg shrimp broodstock is imported, which are about 180,000 - 260,000 of them. 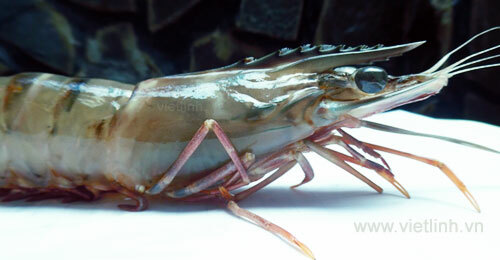 Black tiger prawn broodstock is also imported or collected from the wild. A solution for this issue is to invest in research for breed production and processing to produce post-larvae and broodstock suitable for farming conditions in Vietnam. Using disease-resistant varieties and farming with low density to reduce diseases, improve productivity, and reduce costs are also some other suggestions according to Le Van Quang, Chairman and CEO of Minh Phu Corporation. Shrimp production investment in Vietnam is high. The price of supplies and feed prices (accounting for 65% of the expense) are high, along with high cost for post-larvae, fuel and energy. Thus, it is necessary to reduce the costs and increase supports for energy for production. Irrigation systems for aquaculture are mainly combined with irrigation systems in agricultural production, making them not consistent with general technical requirements. Systems for water supply and treatment are not ensured, which can easily spread diseases in intensive farming areas. In many farming areas lacking of electricity, farmers have to use generators to pump water and control aerators. The power sector especially needs to provide three-phase power to serve shrimp production, especially in the Mekong Delta region. In 2016, drought and salinity intrusion in Mekong Delta were intense. In three key provinces of Ca Mau, Bac Lieu, and Kien Gang, the total shrimp area damaged was ​​over 180,000 hectares according to Vu Van Tam, Deputy Minister of the Ministry of Agriculture and Rural Development. In particular, according to Duong Tien The, Deputy Director of the Department of Animal Health, the damage caused by the diseases accounted for 30% while the rate caused by environmental problems such as water pollution was 63%. Water resources are easily polluted due to manufacturing process and activities, along with the use of plant protection products in agricultural production. Strengthening environment and disease management on shrimps, applying science and technology to prevent diseases are some suggestions to overcome these issues. Standardizing shrimp farming process of each business and each household is necessary. It is helpful for traceability of products, which is consistent with international standards. Automation in shrimp farming should be promoted. Building a system of information on the situations of supply, demand and market prices is a support for farmers and businesses to balance their farming plan. Bringing shrimp to the country’s directory of major farmed species is important. Along with that, building and protecting Vietnam’s shrimp brand globally should also be aimed at. Managing exclusive control of feed, breed, supplies; inspecting and supervising production facilities, suppliers, and controlling the overuse of drugs, chemicals, impurities injection in raw shrimp should be conducted. Government should provide financial and credit support with appropriate interest rates for farmers and businesses to raise, process, trade and export shrimp. It is also critical to implement agricultural insurance policies. Controlling of sub-quota of shrimp products must be ensured to promote sustainable competition. There should also be a detailed plan for the development and growth across all markets, market diversification of Vietnam’s shrimp. Viet Linh © February 7, 2017.